Do you annoy for getting the Legendary Weapons or Other items since the limited on 500g gold can be accepted through in-game mail each week ? In order to help all of our customers to be much stronger and more powerful in game ,We always offer cheap price and fast delivery,Just come to check now. We send the Hongmoon Store items as GIFTS.We will send you a friend request right after you finished the payment usually, please accept it and you will receive the items soon .Please contact our livesupport if you haven't received the items after 12 hours ,and please let us know when you are online again ,we will arrange delivery as soon as possible. 2.Please offer us your account and password, we will pay the Daum Cash for you. After that it's better to change the password due to the security of your account. Silver CoinStack Size: 30Cross Navali's palm with silver to receive a prophecy. Blacksmith's WhetstoneStack Size: 20Improves the quality of a weaponRight click this item then left click a weapon to apply it. Has greater effect on lower rarity weapons. The maximum quality is 20%. Divine OrbStack Size: 10Randomises the numeric values of the random properties on an itemRight click this item then left click a magic, rare or unique item to apply it. Gemcutter's PrismStack Size: 20Improves the quality of a gemRight click this item then left click a gem to apply it. The maximum quality is 20%. 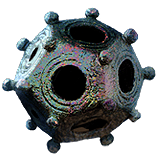 Chaos OrbStack Size: 10Reforges a rare item with new random propertiesRight click this item then left click a rare item to apply it. Exalted OrbStack Size: 10Enchants a rare item with a new random propertyRight click this item then left click a rare item to apply it. Rare items can have up to six random properties. Timeworn Reliquary KeyThough flesh may decay, and bones turn to dust, the spirit fades not. Floundering eternal in pools of tranquil dark.Travel to the Timeworn Reliquary by using this item in the Templar Laboratory or a personal Map Device. Can only be used once. Armourer's ScrapStack Size: 40Improves the quality of an armourRight click this item then left click an armour to apply it. Has greater effect on lower rarity armours. The maximum quality is 20%. Blessed OrbStack Size: 20Randomises the numeric values of the implicit properties of an itemRight click this item then left click another item to apply it. Cartographer's ChiselStack Size: 20Improves the quality of a mapRight click this item then left click a map to apply it. Has greater effect on lower rarity maps. The maximum quality is 20%. Chromatic OrbStack Size: 20Reforges the colour of sockets on an itemRight click this item then left click a socketed item to apply it. Glassblower's BaubleStack Size: 20Improves the quality of a flaskRight click this item then left click a flask to apply it. Has greater effect on lower rarity flasks. The maximum quality is 20%. Orb of AlterationStack Size: 20Reforges a magic item with new random propertiesRight click this item then left click a magic item to apply it. Orb of ChanceStack Size: 20Upgrades a normal item to a random rarityRight click this item then left click a normal item to apply it. Orb of RegretStack Size: 40Grants a passive skill refund pointRight click on this item to use it. Orb of ScouringStack Size: 30Removes all properties from an itemRight click this item then left click on a magic or rare item to apply it. Mirror of KalandraStack Size: 10Creates a mirrored copy of an itemRight click this item then left click an equipable non-unique item to apply it. Mirrored copies cannot be modified. Jeweller's OrbStack Size: 20Reforges the number of sockets on an itemRight click this item then left click a socketed item to apply it. The item's quality increases the chances of obtaining more sockets. Orb of AugmentationStack Size: 30Enchants a magic item with a new random propertyRight click this item then left click a magic item to apply it. Magic items can have up to two random properties. Orb of FusingStack Size: 20Reforges the links between sockets on an itemRight click this item then left click a socketed item to apply it. The item's quality increases the chances of obtaining more links. Regal OrbStack Size: 10Upgrades a magic item to a rare itemRight click this item then left click a magic item to apply it. Current properties are retained and a new one is added. Vaal OrbStack Size: 10Corrupts an item, modifying it unpredictablyRight click this item then left click an item to corrupt it. Corrupted items cannot be modified again. Ancient OrbStack Size: 20Reforges a unique item as another of the same item classRight click this item then left click a unique item to apply it. Orb of AnnulmentStack Size: 20Removes a random property from an itemRight click this item then left click on a magic or rare item to apply it. Orb of AlchemyStack Size: 10Upgrades a normal item to a rare itemRight click this item then left click a normal item to apply it. Faceted FossilMore Socketed Gem Level modifiersPlace in a Resonator to influence item crafting. Fractured FossilCreates a mirrored copyPlace in a Resonator to influence item crafting. Prime Alchemical ResonatorUpgrades a normal item to a rare itemRight click this item then left click a normal item to apply it. until fate pulled you away. No Lightning modifiersPlace in a Resonator to influence item crafting. Fewer Attack modifiersPlace in a Resonator to influence item crafting. 1. It is tradeable and not out of print. 2. Please don't leave the item name in short or plural form. 3. Please make a special note in email when you need power-leveling for this item. We have professional powerleveling team and account management team.You have no worries about your account when it is on leveling and you can get the progress of your order from us in time.